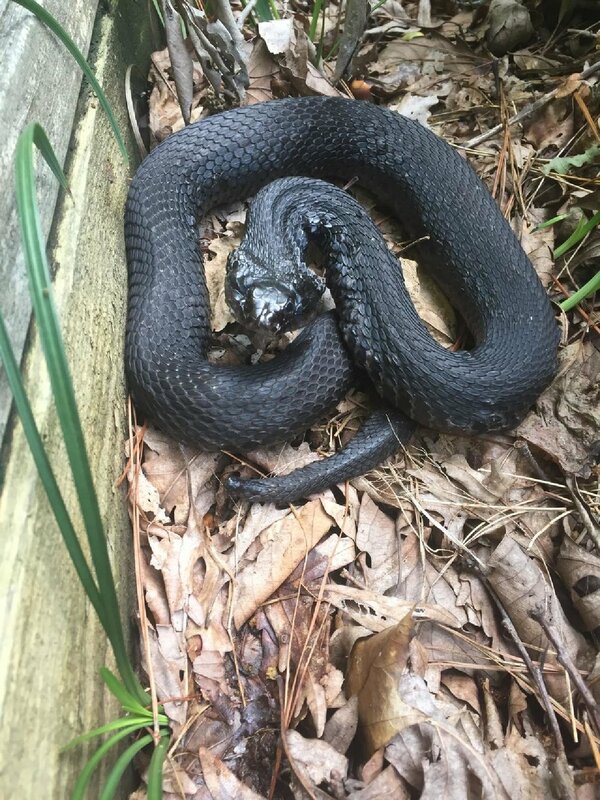 The two pictures are of an Eastern Hognose Snake which although widely distributed had never been reported in Northumberland County. It is also a bit unusual to be totally black rather than patterned. Besides the great photos of a species that strikes either love or fear into the hearts of our members, this is newsworthy as it has not previously been reported in the motherland (Northumberland County).